A Cut Above Exteriors is committed to being the best and most respected exterior remodeling company in the Northwest, including Portland, Salem, Vancouver, and Southwest Washington. We are devoted to providing unparalleled customer service, value, integrity, and quality. Our many exterior remodeling services include siding, roof, window, and door replacement. 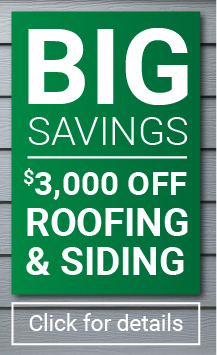 Call us today at 503-334-0751 for a free estimate on your home! Not valid with other offers or prior purchases. Financing provided by Enerbank USA (1245 E Brickyard Rd, Suite 640, Salt Lake City, UT 84106) or Green Sky Financial. $125 monthly payment calculated on a purchase price of $10,000. All financing is on approved credit and terms may vary depending on credit worthiness or for any other reason outlined by the Company. Account fees may apply. Terms subject to change at any time. GuildQuality is a third party company that provides customer satisfaction surveying for homebuilders, remodelers, contractors & real estate companies with a commitment to exceptional service.